To begin your research, follow our 3 Step process below. 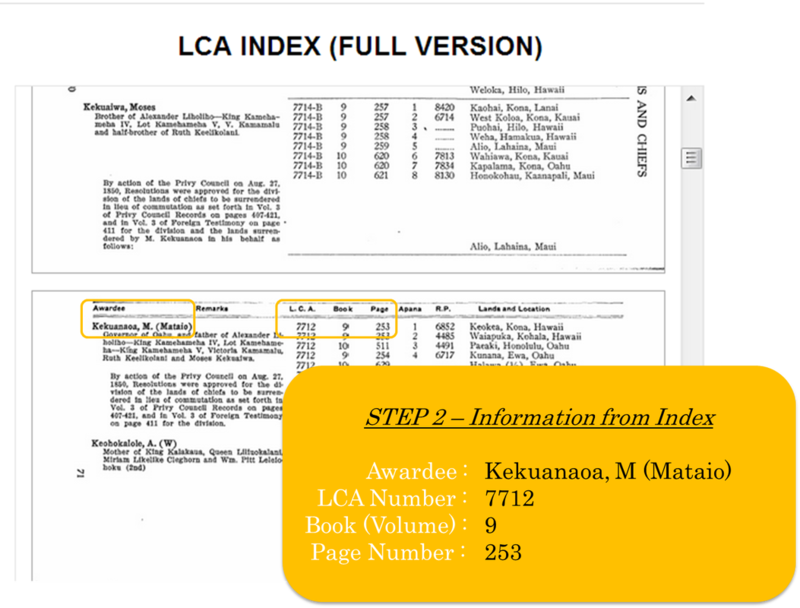 If you know the LCA Number, search in the "Numerical" (part 4) section of the index. 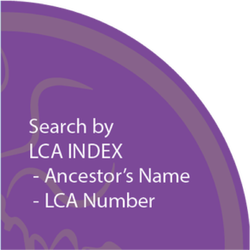 If you don't know the LCA Number, but know the name of the Awardee or the Location of the LCA you are looking for, search in the "Alphabetical by Awardee" or "Alphabetical by Place" (part 3) sections of the Index. FIND the LCA's corresponding "Book Number" and "Page Number" for the LCA you are researching. Look up the LCA in the corresponding "Book" and "Page" in our LCA Books 1-10 collection at the bottom of this page. Note: LCA's Books are the same as LCA Volumes.